Are you experiencing mood swings on a regular basis? Or does someone in your family often manifest this trait, making it difficult for you to relate to him in a normal way? If your answer is yes to either of these two questions, it is about time you look into the subject of bipolar disorder treatment for men. Bipolar disorder, formerly called manic depression, is a mental condition which causes extreme mood swings that involve emotional highs (hypomania) and lows (depression). When your mood is too high you feel you’re full of energy and euphoric, often resulting in poor impulse control and irresponsible behavior. When you are down you feel hopeless and sad. You also lose interest in taking part in most activities. These mood swings can occur several times a week, or it can happen just a few times a year. For most people, keeping the mood in check is much less difficult. But with a bipolar person, this is a struggle. If you have this tendency, there is hope. By following a treatment program directed towards eradicating this mental condition, you can live the rest of your life as normal as possible. 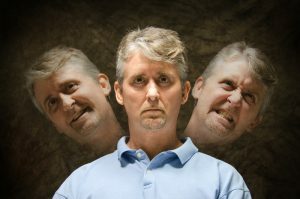 Bipolar I disorder – when the patient had experienced at least one manic episode. It may be preceded by major episodes of depression. This may cause a major disruption in the patient’s life and may require him to be hospitalized. It may also cause him to have psychosis or to break away from reality. Bipolar II disorder – when the patient had experienced at least a major depression that lasted for about two weeks. There may also be a hypomanic episode that lasted four days or so without experiencing a manic episode. The danger in this type is it can cause distress and difficulty in different areas of the patient’s life. Cyclothymic disorder – when the patient had at least two years of repeated periods of hypomania and periods of depressions. At such times, symptoms manifest half of the time and never subside for about two months. The danger here is the disruption of many aspects of the patient’s life. Other types of bipolar disorders – these include related disorders caused by another medical condition like stroke, multiple sclerosis or Cushing’s disease. There is also the type of bipolar disorder that is induced by substance abuse and medication. As with any mental condition, treatment programs for men are available to mitigate or even eliminate bipolar disorder. But it is important to remember that this disorder won’t go away on its own. If you suspect that you or someone in your family is plagued with this problem, you need to seek professional help. The basic treatment for bipolar disorder includes psychological counseling and medication. A mental health professional may also include treatment programs educating the patient and asking the help of a support group. Initial treatment – where the patient will be asked to take medications to control his mood swings. Once he recovers his balance, the doctor will now search for the best way to treat him. Continued treatment – this mental condition requires long-term treatment. Maintenance treatment is needed to manage and control manic episodes and to prevent relapse if the patient is already cured. Substance abuse treatment – when the patient is found to be using drugs or alcohol to mitigate his problems. Day treatment programs – in helping a patient to manage his mood swings, the doctor may also recommend such programs. Hospitalization – if the patient is behaving dangerously with respect to himself and other people, the doctor may be forced to have him admitted to a hospital for medical as well as psychiatric help.